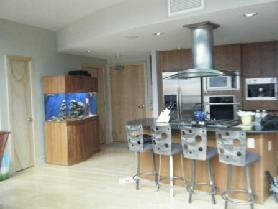 2BD.2.5BA Classy Fully Furnished Downtown Colorado Springs Penthouse Living With Incredible Mountain/City Views! Breathtaking Penthouse with huge views of Colorado Springs from the 12th floor. High end appliances, granite counters, surround sound in home. Large master bath with 5 piece bath and steamer shower. 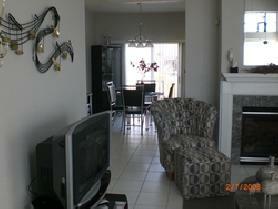 Main level has hardwood floors and separate dining area and counter bar. Enjoy the sunny days on your roof top balcony with plenty of room to entertain. Included is the building is the full fitness center, gated building, pool table and club house. To view more photos, maps, and information about this gorgeous high rise condo, please click here. 3BD.3BA Fully Furnished Corporate Colorado Springs Home. This impeccably decorated home is ready and waiting. 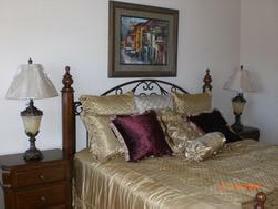 There are three bedrooms (all with queen size beds) on two levels with three bathrooms; one has a large spa tub. A nicely appointed kitchen with stainless appliances and granite counter tops opens to a beautiful dining room. Two gas fireplaces, two car garage, and a top end security system are included. A loft office overlooks the living room. This home is pet friendly with easy to clean tile floors on the main level and a fenced back yard. The home is located in a quiet neighborhood on the northeast side of town. Close to shopping, main corridors, Sky Sox Stadium and Peterson Air Force base. To view more photos, maps, and information about this lovely executive house, please click here. 2BD/2.5BA Handicap Accessible Fully Furnished North Colorado Springs Town Home. This conveniently located town home, in the northeast area of town, showcases the charm of Tuscany with its arches and wrought iron and displays breath-taking views from two of its three stories. Your private elevator whisks you from the double garage to the upper levels in seconds, making it completely handicap accessible. Top of the line kitchen appliances, plush leather recliners, huge HD TV’s, a gas fireplace, covered veranda, and speedy internet, compliment this pristine two bedroom with office, 2 ½ bath, home away from home. Trails lead from the rear to adjoining open spaces for spectacular city and mountain vistas. To view more photos, maps, and information about this town home, please click here. To view all the fully furnished corporate housing condos, lofts, town homes, and houses that AvenueWest Colorado Springs has to offer, please visit us at http://ColoradoSprings.AvenueWest.com or give us a call directly at 719-442-4337.